Kristi Nixon is a Nurse Practitioner certified by the American Nurses Credentialing Center and licensed by the state of Virginia. She is native to the Tidewater area and grew up in Virginia Beach. After graduation from Princess Anne High School, Kristi went to East Carolina and James Madison Universities where she graduated from JMU with a Bachelor of Science degree with a major in Health Sciences and a minor in Substance Abuse Intervention. Kristi stayed active at both ECU and JMU as a member of the varisty softball team and as an intern with a plastic surgeon in Harrisonburg, VA.
Kristi went on to receive her Associates degree as well as Bachelor’s degree in nursing and practiced as a Critical Care Registered Nurse (CCRN) in the Intensive Care Unit for six years at Sentara Virginia Beach General Hospital. 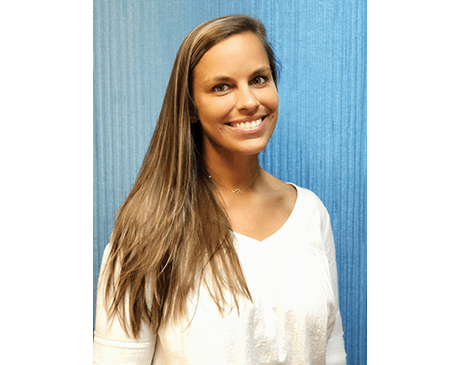 In 2010 Kristi decided to pursue her Nurse Practitioner degree and received a Master in Science from Virginia Commonwealth University, where she graduated with honors as an Acute Care Nurse Practitioner. Initially after graduation Kristi worked in the cosmetic plastic surgery industry for almost four years. Kristi joined Gershon Pain Specialists in February, 2016 where her love for improving her patient’s quality of life has magnified. She is currently a member of the Virginia Council of Nurse Practitioners and the American Association of Nurse Practitioners.